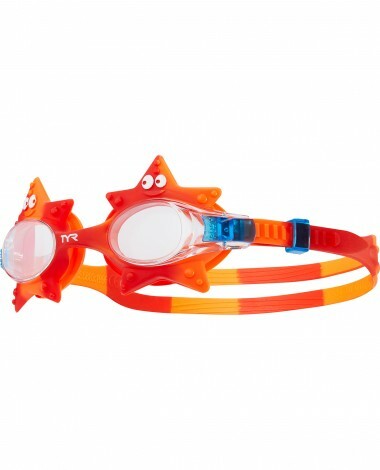 Start your child’s swim adventure off right with the Kids' Swimple® Starfish Goggle. 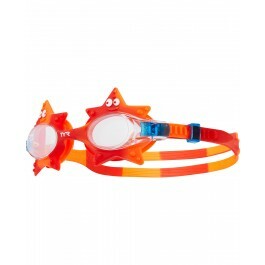 Our #1 kids’ goggle, the Swimple®, is constructed with Durafit Silicone gaskets, ensuring both comfort and durability. In addition to including a unibody construction for smaller face sizes, the LGSWSTAR also features speed adjust technology and optical grade, polycarbonate lenses with anti-fog and UVA/UVB protection. All TYR kids’ goggles have been tested and approved in accordance with the Consumer Product Safety Commission’s guidelines. It’s never too early for excellence! It's honestly hard to tell how effective they are as my daughter is still getting used to them and in turn keeps taking them off and putting them on. But she loves wearing them and it isn't a struggle for her to put them on by herself. They look really cute on and as far as I can tell, they seem to seal well.